Independence Blue Cross proudly supports Prostate Cancer Foundation in many ways including a full range awareness campaign during Prostate Cancer Awareness Month. 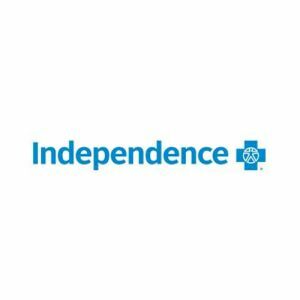 Serving more than 8 million people nationwide and nearly 2.5 million in the region, Independence Health Group is the leading health insurance company in the Philadelphia region, and we’re expanding across the country. Our mission to build healthier lives for you, your family, and your employees shapes our actions and decisions every day. At Independence, we see each of our members as an individual, with unique needs and concerns. We’re dedicated to harnessing the very latest ideas and technologies to deliver access to care that meets those needs and surpasses your expectations. At the heart of our business is our Human-Centered InnovationSM Program — an intensive and innovative use of resources to focus on people and their health as we change the way health care is experienced. It’s reflected not only in our many affordable health plans and problem-solving services tailored to the needs of real people, but also in the way we partner with best-in-class organizations and thought leaders to predict and prevent illness, and in our cutting-edge use of data analytics to help keep you healthier. It’s visible in our support and mentorship of the most promising young health care companies and our bold new models of care, which reward physicians and hospitals for keeping you well. We’re revolutionizing health care, and our focus is on you.